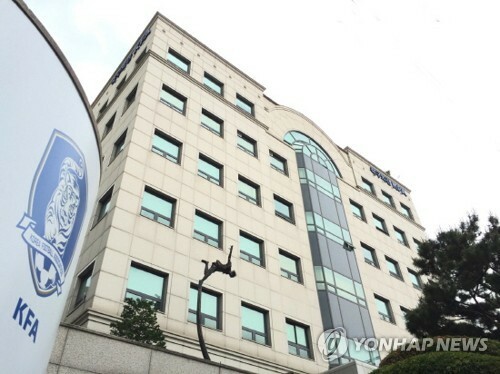 SEOUL, Oct. 24 (Yonhap) — More than eight billion won (US$7.06 million) in training compensation has been left unclaimed by South Korean football schools and academies in the last five years, a lawmaker said Wednesday, urging the national football governing body to take adequate administrative measures. According to Rep. Han Sun-kyo of the main opposition Liberty Korea Party, who analyzed data from the Korea Football Association (KFA), South Korean football academies are entitled to 9.1 billion won in training compensation from foreign clubs, but only 500 million won was claimed. According to FIFA, training compensation is a financial reimbursement to a player’s training clubs when a player signs his first professional contract. Each time a player is transferred until his 23rd birthday, training compensation needs to be paid to a player’s training clubs. Han said that local football academies also have rights to receive 8.6 billion won for solidarity payments, but only 600 million won was claimed. Under FIFA rules, if a professional football player transfers to another club during a contract, up to five percent of the transfer fee shall be distributed to the clubs involved in the player’s training and education.